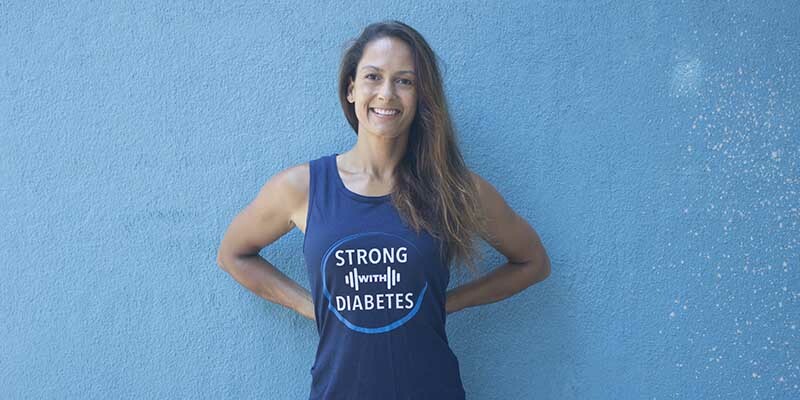 How do you practice self-care and self-love as someone living with diabetes? 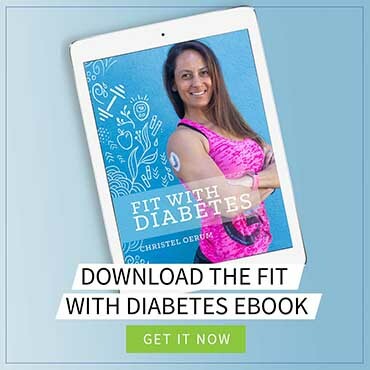 I think doing so is incredibly important and a big component of living a healthy and happy life with diabetes. It makes sense, right? If you pass out from lack of oxygen, you can’t assist others. No one is better off in that situation. The same idea applies to your physical and mental health: you need to practice self-care and self-love to have the energy to love and care for others. I find that most people (including myself) need this reminder once in a while. You cannot do everything for everyone else and nothing for yourself. The flame will fizzle, and you’ll burn out. As with any health journey, you have to decide what taking care of yourself means to you, and then set up a plan for achieving it. Although I can’t possibly know what’s important to you, I would encourage you to view self-care broader than diabetes care. Yes, having an acceptable (to you and your medical team) A1c is important, and so is your daily diabetes management. But you are more than a person living with diabetes, and you definitely have needs other than blood sugar management. So, let’s try to look beyond the diabetes and assess how to take good care of ourselves. I think taking this approach can ultimately lead to improved diabetes management as well. You can start with a self-assessment. When do you feel the most at peace mentally and physically? Maybe it’s when you have time to yourself every day (often the case if you’re introvert like me), when you have time to meditate, after a good laugh, when you exercise, when sleep enough… and the list goes on. I encourage you to identify at least one thing that makes sense for you and then make a prioritized effort to incorporate that one thing into your everyday life. If, for example, 10 minutes of solitude recharges you, why not close your eyes for that 0.7% of the day and then return to your busy life a happier, healthier you? I believe self-love falls under self-care, but it’s important enough that I want to talk about it separately. It’s probably the one thing I’ve struggled with the most, and it’s still a work in progress for me. But just knowing that I’m too hard on myself is a good first step in actively doing something about it. I think self-love (and I’m not talking narcissistic self-absorption) is critical because you ultimately have to be your own cheerleader. If you don’t build yourself up, and instead spend all your time tearing yourself down, how will you ever believe that you deserve self-care or the care and love of others? Whenever you’re too hard on yourself, or you look in the mirror and say mean things to yourself, you’re tearing at your personal foundation. To be healthy, we must believe that we deserve health, that we deserve love, and that we are worthy. Nothing positive will ever come from a thought process that goes like this: “I always fail; I never reach my goals.” So, what I often work on with myself and my clients is changing the mental narrative. I have written a post about Building Mental Strength with Positive Inner Talk that is a great place for you to start. Practicing self-care and self-love in a way that supports your overall health may not come easily to you, so I encourage you to view it as something that will take a little time to get used to, just like any new routine. I promise you it’s worth the investment because it’s an investment in a healthier (and happier) you! Thanks for this beautiful reminder. In my past relationship I spent so much time pleasing my partner I didn’t even know what I needed to take care of myself. 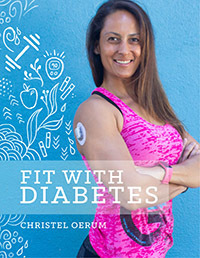 Since my diabetes diagnosis, I have been working on checking in with myself first before I do anything for anyone else. The older I get, the harder it seems to be to hang onto good self esteem. It’s easy to look back and think about how I could have done better or left a better legacy here or there. I have been told I am my own worst enemy. Thank you for your efforts to help us all live better lives and become more whole. Thank you for the note. It’s probably something we all will have to continue to work on. And I think, maybe, that I’ve heard the one about being my own worst enemy as well…. This was great for me to hear. Today was one of those days with lows and highs. Very frustrated but reading this post helps me know I am not alone in my struggle with DM and life goes beyond DM. Thankyou for this. I have been working on a quote this year that says: dont forget to fall in love with yourself first. what does this mean personally to myself.? Physically i think im going well with it, but its a bit tougher mentally. i can see an improvement overall which is the main thing. Thank you for that – yes Onwards and Upwards! Thank you for this, it reminds me I am too hard on myself. I love the examples, they are spot on and very inspirational! !